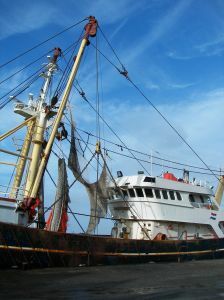 In McCormick v. Chippewa, Inc., the plaintiff was working on an Alaskan commercial fishing boat when he injured his back pushing a net reel. He was given an over-the-counter pain medicine as the sole treatment for his injuries. Later that same evening, he went to bed, and, due to rough seas, he fell out his bed and hit the floor. When he hit the floor, he hit his head and suffered further injury to his back, according to court records. The following day, the plaintiff stated he was dizzy from the fall and in more back pain than he had been the day before. He was eventually treated for his injuries at a medical facility in Anchorage. He filed a personal injury lawsuit against the boat owner and captain, alleging negligence in the operation of the boat both in causing his injury and in failing to treat his injury properly after it occurred. As your Boston personal injury attorney can explain, insurance companies will often present their version of what occurred in a way that seeks to limit the maximum they are required to pay under a liability policy. In McCormick, the defendants had an insurance policy that had a $500,000 per occurrence policy limit. This means $500,000 is the maximum they will pay for any single accident. This policy also had what is known as a cannibalizing clause, which means any money spent investigating the claim or defending the claim would be subtracted from the policy limit. The plaintiff’s attorney worked out what he apparently thought was a settlement for $1.5 million. The letter he sent released the defendant from liability in exchange for paying the policy limits on the accidents that occurred over three successive days. It was the plaintiff’s contention that the initial accident involving the net reel was one accident, the falling out of bed injuring his head was another, and subsequent injury to his back was the third. The defendant’s insurance company sent a check for around $450,000. This was the total for what they claimed was one occurrence at the policy limit of $500,000 minus expenses. The plaintiff’s attorney rejected this check on two occasions and both parties request that the court enforce what they each respectively believed to be the terms of the settlement. The plaintiff demanded $1.5 million while the defendant demanded they accept the original check minus the additional money spent to enforce the settlement. The plaintiff filed discovery requests in attempt to determine the defendant’s attorney’s state of mind when agreeing to the settlement. The defendant sought an order of protection from the court. The court ultimately denied the plaintiff’s discovery request on grounds that the attorney’s state of mind was not relevant to the case. On appeal, the court found that the state of mind of the defendant’s attorney was relevant and reversed and remanded the case so that the plaintiff could propound discovery from the defendant. The appellate court reasoned that what the parties believed at the time the settlement agreement was reached was very relevant. In order to have a valid contract, there must be a meeting of the minds.